Federal Aviation Administration Grants Exemption for home inspections. The Federal Aviation Administration (FAA) has granted an exemption that will allow the company to conduct commercial operation of its drone camera in the U.S. Inspect Hawaii, LLC announced today that the Federal Aviation Administration (FAA) has granted an exemption that will allow the company to conduct commercial operation of its drone camera in the U.S. The FAA grants exemptions from FAA rules limiting commercial operation of Unmanned Aircraft Systems (UAS) pending the adoption of permanent rules. FAA section 333 exemptions are intended to "provide a pathway for civil operators who desire safe and legal entry" into the U.S. National Airspace System (NAS). Aerial photography using a drone camera can quickly and easily capture aerial images to identify roofing defects and location of property lines. The use of a drone camera avoids the safety hazards of climbing high-pitched, multi-story roofs and removes the possibility of damaging roofs by not walking on fragile roof materials or structures. Inspect Hawaii, LLC is located on Oahu and offers home inspection and engineering consulting services in Hawaii. As part of the inspection service, the company offers aerial photography using a drone camera for real estate properties. The company also offers thermal imaging using an Infrared camera to detect plumbing leaks and electrical overheating for home and commercial property inspections. Oscar Libed is a registered Professional Engineer with the State of Hawaii. He is also a member of ASHI (American Society of Home Inspectors) and IEEE (Institute of Electrical and Electronics Engineers). The web site is http://www.inspecthawaii.com and email at oscar(at)inspecthawaii(dot)com. 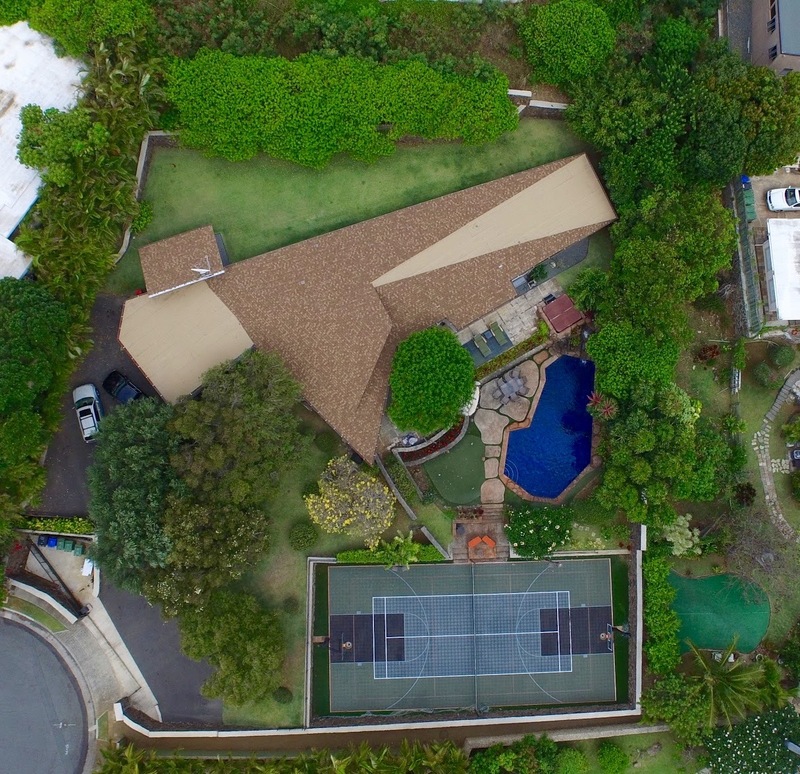 Photo taken by home inspection drone in Hawaii.This aerial photo of a home was taken by FAA approved drone camera in Honolulu, Hawaii by Inspect Hawaii.